I have received countless messages regarding my newsletters in which I discuss the deeper, esoteric teachings of the parables of the person known as Jesus. As I mentioned some weeks ago we will continue to look at the parables and other words of the Master in their true context in future newsletters, so this week we will continue to do so with what I will call "The Parable of Forgiveness". So what does this parable really mean? The true and extremely important teaching of this parable is Unconditional Forgiveness and Humility, which is related to the meaning of the first part of this newsletter - Responsibility. Because one debtor owed ten times as much as the other, by virtue of the creditor forgiving them both equally, he was loved the most by the debtor for which he forgave the most. Note - this is not the creditor apportioning Love relative to debt, the creditor's Love is Unconditional, but rather the debtor loving the creditor in relation to amount he showed his love by forgiving their debts. It is no coincidence that this parable is at the forefront of the sequence of parables as set out in the Bible. We already know that the Bible is in reality a book of Initiation first and foremost and therefore of Spiritual Growth, but also including many Metaphysical teachings to help the reader through life and the process of Spiritual evolution, and therefore fulfilling their true destiny on Earth. In order to evolve Spiritually we must, first and foremost, work upon ourself. The reason we, or more specifically our Higher Self elects to send many representatives to Earth, is because Earth, as with an infinite number of similar planets in the Universe, unlike the non-physical worlds such as the Astral, provides us with a an environment in which we will be faced with an infinite number of situations, the overcoming of which allows us to Spiritually evolve. By interacting with a wide range of people of greatly differing characteristics, again which can only happen in the physical world, we are presented with a wide range of circumstances which "test" our character and the ability to overcome them - in this parable attitudes to money viz a viz Love. It does not require much observation to realise that one of the main issues, and downfalls of society today, is a love of money over a love of people and indeed life generally, including planet Earth. In this parable Jesus is teaching the same, but in this case using money as an example. Even 2000 years ago it seems that people were still judging and being judged in terms of money. 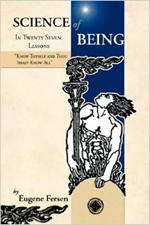 Most single mystical traditions, such as Hermetics, as well as the non-orthodox religions such as Buddhism teach aspirants these crucially important prerequisites. 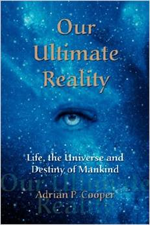 And again I also dedicate many pages in my book to these same crucially fundamental subjects which form a cornerstone of Initiation and Spiritual evolution, without which no true progress can be made, and the cycle of reincarnation cannot be transcended. We are One with All in Creation. Once we realise and can assimilate this powerful truth, then everything else becomes simple. What Jesus is fundamentally implying in this parable and introduction to Initiation is this: There is nothing to be gained whatsoever in continuing, either with his teachings and therefore the process of Initiation, unless you first Unconditionally Forgive everyone and everything regardless of the magnitude of any perceived wrong-doing. At the final analysis what we do unto others we do unto ourselves in the great Oneness of the Life and of the Universe. As I have said before and will say again and will continue to say - the texts that constitute what came to be called the "Bible" are not theology. There is not a single word of theology in the entire Bible. The Bible is in reality a book of Initiation, Spiritual Growth and Metaphysics, which, when understood in there true context, will reveal its true inner meanings. This parable then not only introduces the parables of the further teachings, but is also a primary Principle of evolution, and a cornerstone upon which both progress and the other parables are constructed. Quite simply - Unconditional Forgiveness.